Beautiful unique or handmade jewelry pieces deserve to be packaged in a way that represents their elegance and style. There are many ways to package jewelry items for retail or gifting purposes. Ranging from affordable and sophisticated options to more luxurious box choices, here are five of the best products to package your boutique jewelry! 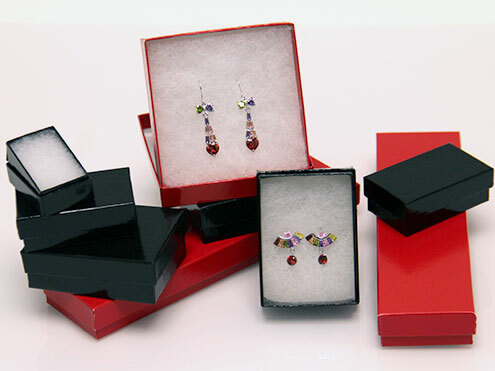 It goes without saying that two-piece jewelry boxes are a great way to package jewelry items. Two-piece jewelry boxes come in sizes that are already ideal for a variety of jewelry items, from earrings to necklaces to watches. They also include non-tarnishing padded inserts so you don’t have to worry about additional box fillings or cushioning. These boxes provide the most convenient and ready-to-use jewelry packaging with an elegant and stylish look. These cotton filled jewelry boxes are available in a wide variety of gloss and matte colors, and even textured colors and prints for a more luxurious look and feel. For special gift packaging, these boxes can be tied with ribbon or accented with a bow. For a personalized option you can add custom labels, stickers, or ribbon to brand your jewelry packaging. Magnetic gift boxes are a higher end option for jewelry items, and are made from a sturdy heavyweight paperboard wrapped with gloss, textured, or natural kraft paper for a beautiful finish. These folding gift boxes are easy to assemble and there are hidden magnets to close the lid with a snap. This allows the box to become a securely closed gift package for the recipient, that can be decorated with ribbon or a label if desired. 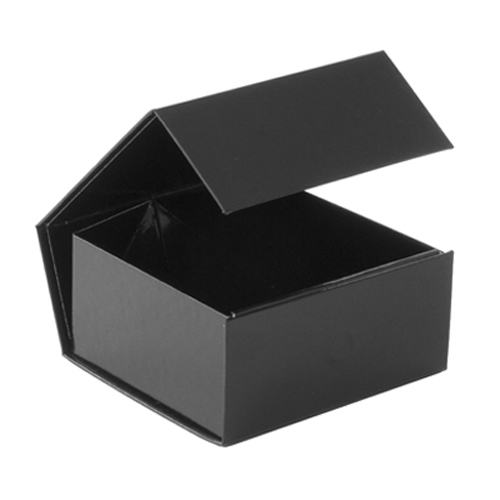 Magnetic folding boxes come in small sizes that can be used for jewelry items or watches, and even bigger sizes for other gifts and accessories. The only caveat of these boxes is that you will need to line the interior with something to protect the jewelry and hold it into place, like cotton or satin padding or tissue paper. As a bonus, these boxes are completely reusable so it provides that benefit to the recipient or customer. These boxes are also shipped and stored flat so they don’t take up as much storage space as traditional rigid jewelry boxes. Drawstring pouches are an excellent low-cost option for packaging jewelry items. Pouches are very inexpensive but still are a luxurious feeling option that keeps jewelry items safe from scratches after purchase. Drawstring pouches are available in a variety of fabric types including velvet, suede, satin, jute, organza, and cotton. For engagement and bridal jewelry, white satin pouches can set the tone perfectly. For more fun and unique items, organza or jute pouches are great choices to add a pop of color. With many other high-end jewelry items, velvet, faux suede and satin pouches can create an elegant look. With pouches as your packaging, it is easy and inexpensive to create a unique look for your jewelry gifts. All pouches include the matching drawstring to securely close the bag with the jewelry inside. 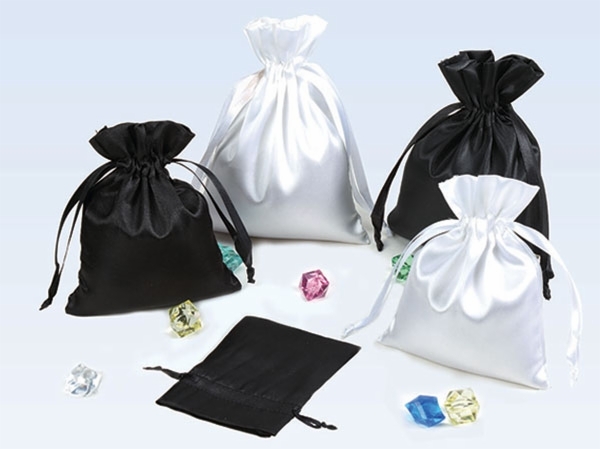 Drawstring pouches are a great retail bag for jewelers and can be easily shipped in a mailing envelope or box because they add very little dimension or weight. Without a doubt, pouches are one of the most economical ways to package unique jewelry gifts. 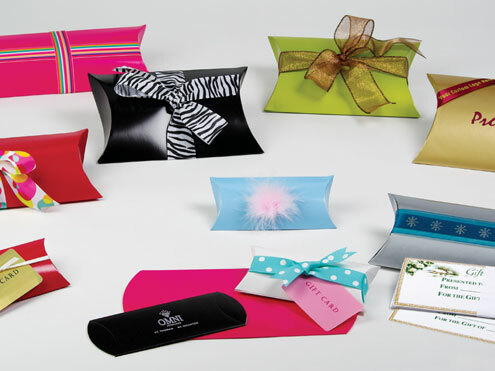 Pillow boxes are an easy to use packaging option that store flat and are very easy to assemble. They can easily be tied with colorful ribbon or you can use custom labels or stickers to personalize them. To keep jewelry items secure inside, simply wrap them in tissue paper or cloth to cushion them inside the box. These small boxes are a more minimalist packaging option, which would be perfect for small jewelry retailers who sell at markets or on Etsy. Pillow boxes are a convenient option for a gift box or even to ship jewelry items by mail. Ribbon tied purse boxes are a stylish way to package jewelry items. These versatile gift boxes can be used for gift cards, but are also a great petite size for small jewelry items like earrings, necklaces, bracelets, and accessories like key-chains and pins. 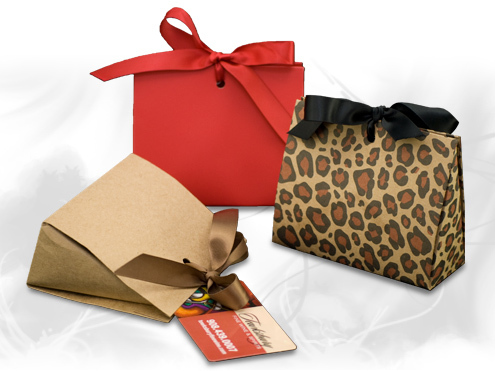 Simply wrap your gift item in a small piece of tissue paper or cloth and place inside the box for the perfect package. Tie the included ribbon at the top to keep the box closed and provide a special finishing touch. There are several colors and styles of purse boxes available to fit into any style. These boxes do ship flat and require some assembly, which makes them a slightly more time consuming option than some other jewelry packaging. Jewelry and accessories are always fun to package, especially when there are so many unique and innovative packaging options available! However you choose to package your jewelry, don’t forget to stay true to your brand and get creative with your accents and accessories! Shop online now to see all the jewelry packaging options available at Splash Packaging.